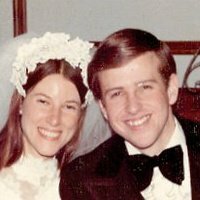 On December 21st of this year, my bride and I celebrated our 39th wedding anniversary. Since then I’ve pondered reasons why, by God’s grace, we’ve survived, even thrived all these years. I wondered if I could articulate as many lessons learned or being learned as years. Here’s what I came up with. Believe the gospel for yourself AND about your spouse. Love your spouse more by loving him/her less than Jesus. Believe the best of your spouse as a saint. Suspect the worst of yourself as a sinner. Ask questions to draw out the heart. Avoid judging with broad-sweeping statements; speak the truth in love. Peacemake, don’t peacebreak, or peacefake. Get mediation help/counseling if necessary. Wait until you’re on the same page the bigger the decision. Read good books on marriage and other topics together. Limit TV and other forms of digital entertainment time. Defer to one another – A LOT. Kiss each other good morning, goodbye, hello, and good night. Be a part of a gospel community together (small group). Serve others inside and outside the church together. Keep good boundaries with extended family and in-laws. Never demean one another in front of others. Never raise your voice to one another. Eliminate the “D” word from your vocabulary altogether. Stay in touch with each other throughout the day, especially when travelling apart. Date each other; take walks together. Get away from the normal routine together, if and when you can. Always look for the next lesson God will teach you.